At Clova in the heart of Wey Hill you’ll find fabulous Fashions & Accessories. We aim to stock styles that are just that little bit different! 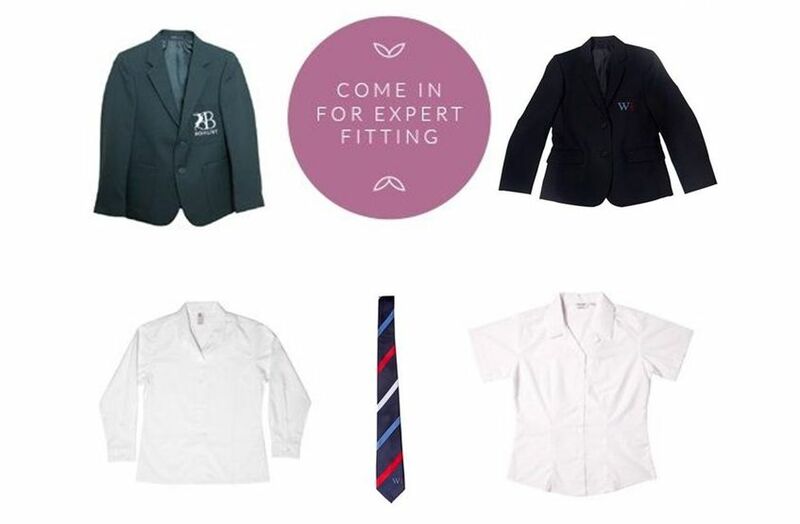 We also sell School Uniform … from generic items such as shirts, trousers, skirts, socks & PE kit to specific Schoolwear … we’re proud to be recommended stockists for Bohunt School Liphook, St. Bartholomew’s Primary & Woolmer Hill School in Haslemere & Rodborough School in Milford. Clova also sells an extensive range of dancewear including ballet, tap, jazz and character shoes. Have a look at the styles on our fashion page. We have chosen just a few to give an idea of some of the beautiful fashions & accessories we sell. With an emphasis on natural fibres and on trend styling we can guarantee that you’ll always find something you love. If you spot an item on the website and can’t get here straight away then just contact us and provided it’s in stock we’ll put it to one side until you can make it. Alternatively, we can take card payment over the phone and can even post them to you (p&p £3.99). We look forward to welcoming you in store very soon.